Frans Hals (c. 1582 – 1666), the most famous painter of the Golden Age to work in Haarlem, specialized in painting people. Many wealthy citizens of Haarlem, and even one or two from Amsterdam, commissioned him to paint their portraits. For the open market he made paintings of less prominent people: the village idiot, drunkards, laughing fishermen, and children playing the flute or smoking. Frans Hals was a master in conveying vitality and movement. He painted people in action and was audacious enough to show them smiling in formal portraits. He is renowned for his magnificent use of colour and virtuoso brushwork. As Vincent van Gogh, one of Hals’s greatest admirers, famously wrote, ‘Frans Hals must have had twenty-seven blacks’. In this new and dynamic presentation visitors get to know Frans Hals intimately. Who was he? How did he work? What makes him special? 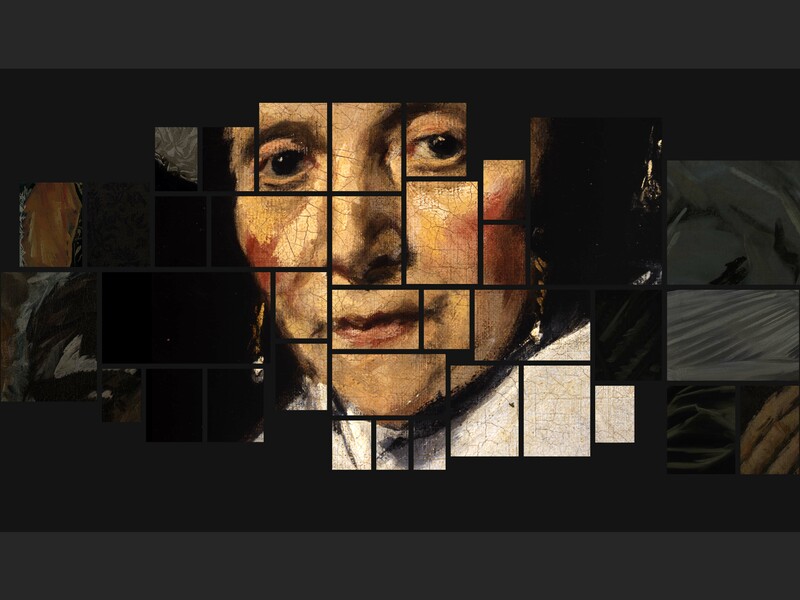 An installation of sixty-seven different sized screens on three walls presents the story of his life in pictures, and for fifteen minutes immerses visitors in the world of Frans Hals. In a succession of images, paintings, documents and quotations zoom in and out and pass in front of the viewer. A dynamic, entertaining and instructive experience, and a splendid prelude to the display of Hals’s work in the museum.